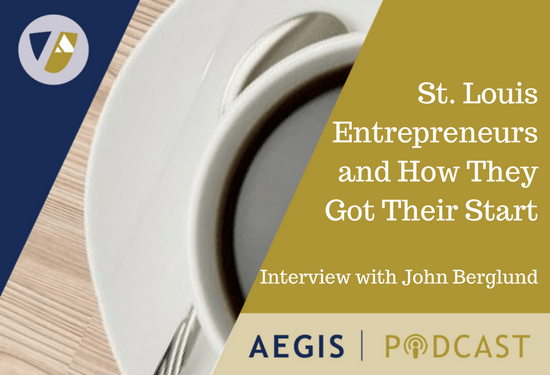 In this podcast, Scott Levine interviews John Berglund, entrepreneur and author of the book “St. Louis Entrepreneurs and How They Got Their Start”. Scott and John discuss their experience relating to the development of the St. Louis early-stage ecosystem, what has led to its acceleration, and the work that remains to be done to take our region to the next level. In his first book, Rare Company, St. Louis entrepreneur and author John Berglund uses his dry wit and clear writing style to tell readers how an elite group of successful St. Louis business owners overcame obstacles as they built and grew their companies. Each one has a captivating story to tell. The common themes are drawn together to provide readers with real-life “lessons learned” that apply to any business. John Berglund grew up the sixth of nine children in St. Louis. After studying Aerospace Engineering at the University of Illinois, he worked at McDonnell Aircraft, then returned to Washington University for a Masters in Architecture. In 2011, he took over Mira, a software development company, which had been struggling for some time, returning it to profitability within three years. He has been active with several organizations, most recently EO Entrepreneur’s Organization and St. Roch’s School. John’s latest venture, StarLake Holdings, is looking for exceptional privately held businesses. More information can be found at www.starlakeholdings.com. Look here for more information about John.